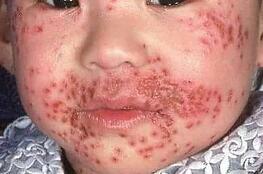 According to John Hopkins Medicine, 50 to 80 percent of U.S. adults have the oral herpes virus and many don’t know it. Most commonly associated with “cold sores” or “fever blister” the herpes virus can cause other, more serious symptoms as well. These include severe flu-like symptoms, swollen lymph nodes and headaches. The National Institutes of Health (NIH) recently awarded Afsar Naqvi, assistant professor at the University of Illinois, Chicago’s College of Dentistry, a five year, $2 million grant to study this wide spread and yet often misdiagnosed disease. By studying how herpes viruses, and their underlying molecular mechanisms, contribute to increased inflammation in oral diseases, Naqvi and fellow UCI researchers hope to clarify the process. Their main goal is to uncover how manipulating the small molecules that regulate gene expression in the herpes virus may help healthcare professionals diagnose and treat oral diseases. In particular, the research project is meant to help scientists better understand oral inflammation in other oral diseases such as periodontitis--which is a serious gum infection that damages soft tissue and destroys the bone that supports your teeth, causing teeth to loosen and if untreated to fall out. In an article for UIC Today, Naqvi pointed out the herpes viruses are unique in two ways: First, their lifelong persistence in the human body. Secondly, in their ability to encode viral microRNAs (small molecules in cells that control how genes are expressed. )These mircoRNA’s not only alter their own genetic activities but their host cells’ functions as well. One goal of the study is to discover whether viral mircoRNA can be used as a biomarker to identify those more prone to oral inflammation. This in turn would influence treatment decisions. Another goal is to better understand how disease related herpes virus microRNA’s cause the host’s immune cells to malfunction by interfering with their regulatory process. This grant from the National Institute of Dental and Craniofacial Research is one of seven grants from that agency of the NIH to UIC this year. To date, in 2018, the University of Illinois, Chicago has received 214 NIH grants totaling over $83 million. It’s Research and Development expenditures last year came to over $327,000,000. To conduct their cutting edge research, scientists at UIC need access to the latest in laboratory equipment and supplies. 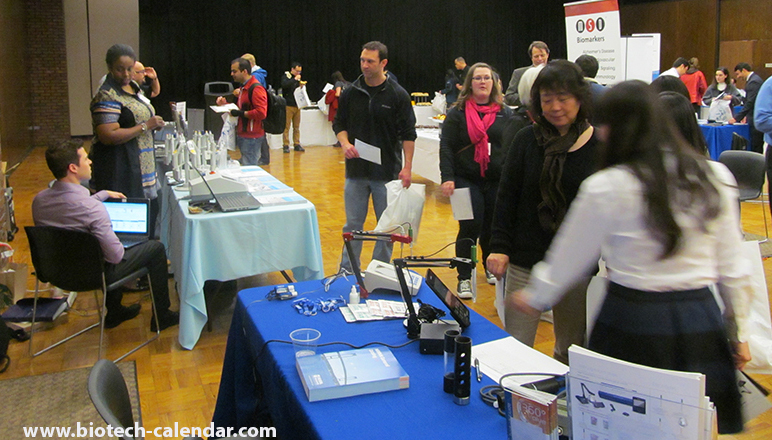 For the last 19 years Biotechnology Calendar Inc. has hosted an on campus bioresearch product faire where researchers can meet face to face with laboratory equipment suppliers. Last year’s event attracted 325 attendees, of which 117 were professors and post docs. 40 were lab managers. These attendees came from 26 different research buildings and 40 on-campus departments. On Thursday, September 20, 2018, Biotechnology Calendar, Inc. will be hosting the 19th Annual BioResearch Product Faire™ at University of Illinois, Chicago. This premiere BioResearch Product Faire event gives researchers the opportunity to discuss their equipment needs directly with laboratory equipment suppliers. They can also and see examples and demonstrations of their latest products. Science professionals attend for free. 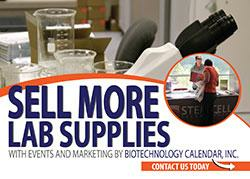 Laboratory equipment suppliers interested in displaying at this event should call (530) 272-6675 or click on the link below for more information.